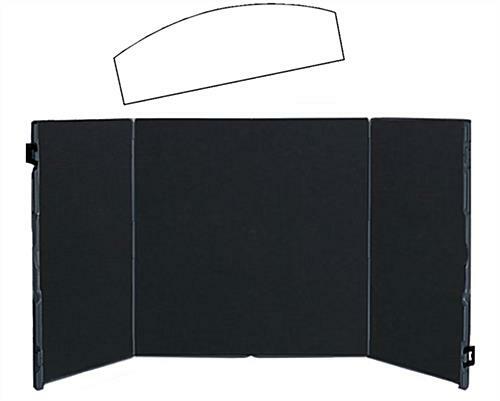 Portable display folds into small carrying case. 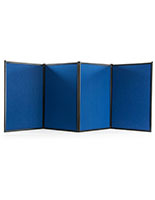 Hook-and-Loop receptive fabric allows for quick set-up of the board. 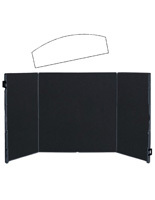 Folding case keeps presentation accessories in place while moving. A foldable briefcase display that has everything you need in one package! This unit works well for both professional speakers and occasional presenters. 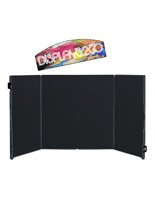 The foldable briefcase display makes it easy for users to look their best. Speakers can bring a fresh look to speaches with this model. 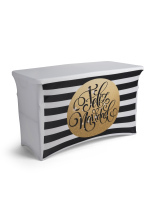 This foldable briefcase display features sophisticated curves and a sleek demeanor. The unit eliminates the need for panels that are awkward and clumsy. This foldable briefcase display morphs from a briefcase into an attractive showcase. The model takes only seconds to assemble. 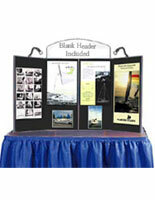 This foldable briefcase display is a generous 48" x 24" fabric covered board. 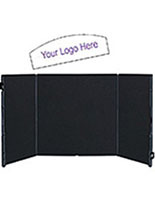 Photos, charts, signs, tiled graphics, or other visual aids may be attached to the hook and loop ready fabrics. 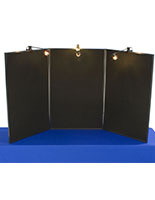 This foldable briefcase display uses the hook and loop adhesive dots that are provided. After the presentation, this item folds back in to one piece. The visual elements on the table top display is still in place for transport. 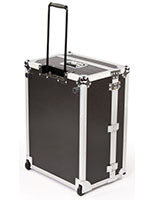 This unit weighs 10 lbs and is great for any instructor, salesman, or exhibitor. 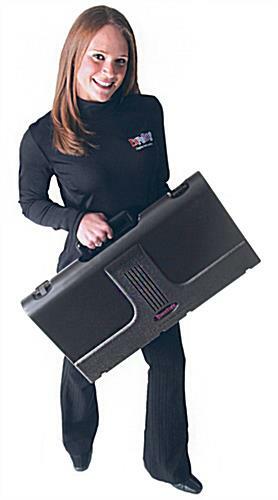 This foldable briefcase display offers portable success! **This unit comes with a blank header. Sorry, but we do not sell headers separately. 50.3" x 24.6" x 20.0"
25.0" x 14.0" x 4.0"